Welcome to The Hear Me Out [CC] Podcast, an audio show (with transcripts included) where we hear from inspiring people in and around the d/Deaf community and from your host, yours truly, Ahmed Khalifa. In episode 3 of the podcast, I chat with Sara Hawthorn, a PR business owner who is also tackling and breaking down the barriers that exists within the PR and communications industry, whilst also sharing her own hearing loss journey and fantastic advice along the way. Announcer: Welcome to The Hear Me Out! [CC] Podcast, a show where you’ll hear from inspiring people in and around the deaf community and from your host, Ahmed Khalifa. Ahmed: Yes, welcome to episode three of The Hear Me Out! [CC] Podcast. Well, today I’m going to be talking to Sara Hawthorn, who runs her own PR business but is also tackling the issue of breaking down the barriers that exist within the PR industry. Of course, she’s also going to share her own hearing loss journey, as well. I urge you to listen to Sara. She has some awesome stuff to share with you. Ahmed: So, let’s get straight into it, the interview with Sara. So, Sara, welcome to Hear Me Out! [CC] Podcast. Thank you for joining me. Sara: Thank you very much for inviting me. Ahmed: I’m excited. I wanted to talk to you because you’ve got an interesting angle that I thought a lot of people are not aware of, and the whole point is to kind of talk about that and see what can be done about it. Before we get into that kind of topic, I’m very curious to know, and I’m sure the listeners are curious to know, is your background story, your hearing loss journey, the kind of challenges that you had and how did you overcome. Ahmed: So, can you tell us your hearing loss journey kind of thing? Sara: I was first diagnosed as having hearing loss when I was about four or five. I passed my baby checks okay, but I had mumps when I was very young and they think that that is what caused the hearing loss. They can’t be certain, but they think that’s what it was. This was sort of ’80s, ’90s era, so it was the days of the old NHS back brown analogue hearing aids, the really uncomfortable ones that were just awful. Sara: I wore them for a little while, and then I was getting older and I was coming into my teenage years and I just stopped wearing them. I just was like, “No, I don’t want to wear these. Not cool. Not having it.” I just kind of struggled on for years. Sara: As I got into my 20s, I was getting more and more ear infections. I’ve always had really sensitive ears, so if I got water in them, they’d get infected, and I’ve got to wear earplugs when I go swimming and avoid getting water in my ears when I shower, different things like that. Sara: I thought, “Well, I think I can manage just fine.” They said, “Well, try them. They’ve come a long way.” It was the new digital ones and that was fine. So, I got a fitting and I went away and I came back to pick them up, and they fitted me and I walked out of Croydon Hospital and it was like someone had lifted a pillow from my head. Sara: I genuinely hadn’t realised quite how much that I’d been missing or struggling for the last 15 or so years. I just hadn’t got it at all. There was someone behind me who had footsteps and I jumped because I didn’t realise that there was footsteps behind me. There was so many little tiny things that I totally missed, and so that was quite revelatory for me. Sara: When I moved back up to Leeds, I was obviously sent to the local hospital here, who then told me that I could have something called Bicros aids. Bicros aids, for anyone that doesn’t know, they transmit sound, so my right one is basically a transmitter and it gives me multidirectional sound. It transmits the sound through into the left one, which is incredible to me. I was absolutely fascinated by it, and same again, I hadn’t realised quite how much I’d been missing on that sort of multidirectional aspect. Sara: When I left the hospital with those in for the first time, I walked out and someone in the street walked past me and sneezed on the right, and I just stopped. I just stopped and looked at them in surprise because the loudness and the clarity with which I heard that, I totally missed. Sara: So, it took me quite a long time to come to terms with quite how deaf I was and what I’d been missing. I’d put a lot of systems in place and strategies in place probably subconsciously a lot of the time to just help me get by, really. Sara: It wasn’t until the audiologist turned around and said, “You know that we can do stuff for this, right?” that I went, “All right, okay. Let’s try that, then.” It was marvellous, so now I love them. Sara: Yeah, that’s [crosstalk 00:05:19] so that’s still what I wear today. Ahmed: It’s interesting because I can get what you’re saying in the beginning when you’re a teenager and growing up, those big chunky hearing aids that I had, uncomfortable, they’re heavy, just didn’t feel and sound right, and you’re adamant that that’s not how it sounds like when the “real world”, but the thing is technology got better and over time, yeah, I’m the same as you. Ahmed: Very, very slowly, I came into it and thought, “You know what? I have to accept it and I have to embrace it.” That’s the whole point of it. Ahmed: But once you do, I guess you look at the world differently because I didn’t know what I missed, but clearly you kind of felt like you missed a lot just from your experience. I’m guessing now you are thinking it’s such a noisy world right now. That’s the thing. Sara: Yeah. I think they don’t prepare you for that quite a lot, so there’s this misconception that you get fitted for hearing aids, you wear them, and suddenly you have the hearing of a hearing person. Now, my partner often says to me I have no idea what it’s like for him to hear what he hears, because even with hearing aids, what I’m hearing is not what he hears at all. There are times I’ve just had to take them out because it’s too much for my brain. Sara: I’ve spoken before with other people that are getting brain tired, so if you’re in a noisy environment and you’ve got your hearing aids in, what the brain does obviously with normal hearing is that it will filter out voices and allow you to focus, but because everything is just sort of amplified within hearing aids, your brain’s going, “Right, what do I need to listen to? There’s too much noise here,” and you end up quite exhausted by the end of it. Sara: I think that’s something that a lot of people, non-hearing aid readers don’t recognise and don’t understand. Even when you do come to hear them for the first time yourself, I think that can be overwhelming and that takes a bit of adjustment, too. Ahmed: Yeah, I totally understand you. It’s kind of very timely that you said that, because I’ve written about this tiredness. Ahmed: They call it “concentration fatigue.” It totally makes sense because for normal hearing, if your brain is at kind of a calm level, it doesn’t require a lot of resources to listen, to think, or that kind of stuff, but those with a hearing loss, they have to focus even harder because their brain has to work harder to listen out for a few things, to lip read and translate, or just to work extra hard to listen. Because of that, at the end of the day, you get really, really tired. Ahmed: Imagine if you’re going to a conference and then you have to hear people speak all day long, but you still have to focus and you get tired. I’ve written about that. I’ll put the link in the show notes. People can check it out, but it’s so, so true. Ahmed: Not all people realise that and people always say to me, “I’m always tired at the end of a day,” but there’s a reason for that, because you get tired from working extra hard to listen. So, I totally understand where you’re coming from. It’s something that is invisible. You can’t really see it, so you have to kind of live with it. Sara: No. It’s difficult for people to understand because other people are tired. You do a conference, for example, if you’re at a PR event or a conference, it’s a busy day. Shows are just inherently busy. You’re running around a lot. You’re looking after clients. You’re speaking to press. You’re doing this, you’re doing that, and the next thing. Ahmed: Oh, I’ve done that so many times. Don’t worry. You’re not the only one. I’ve done that, as well. So, it’s true. It’s true, especially in your area and your industry. Actually, now that we go into it, you are in the PR industry. Yeah, of course there’s a lot of communication and collaboration with different people online and offline. Yeah, you have to interact with a lot of people. Ahmed: So, we’re going to get into the PR side of things, as well. So, you run a business, a PR business called InFusion, but it’s a PR business with a difference. I’ve noticed that you have a particular interest in the disability section of PR and you’re very committed to kind of improve diversity and accessibility in the entire communications industry. New Speaker: So, tell me briefly about your business, what is it that you do there, and also about your quest, your journey to kind of tackle the diversity and accessibility issues that you have in the industry. Sara: Sure. So, I started InFusionComms about five years ago. We just hit five years last year. I’ve worked sort of in with PR for quite a long time before that. I studied and worked in [inaudible 00:11:12] briefly. What we do is technical PR, not tech PR as in the kind of technology side of it, but very technical stuff, so we work in really niche sectors, which is sort of my background. So, I’ve got a background in agribusiness, construction, manufacturing, that type of thing. Sara: We do a mix of sort of renewables, energy, manufacturing, construction clients here. I love that side of it. I love the really technical side of it because I’m kind of fascinated by how things work and why they work and all that kind of thing. Sara: So, there’s now three of us and I have a couple of freelancers I use on a regular basis as well, so we’re doing well and we’re growing. I have I think quite a diverse team in terms of we’ve got a disability quota, we’ve got the LGBT quota, we’ve got mental health quotas. We are very open in this office, so everybody is quite open about what affects them and their life and the depth of things, whether it’s anxiety and depression, whether it’s LGBTQ things, or I talk about my disability a lot. 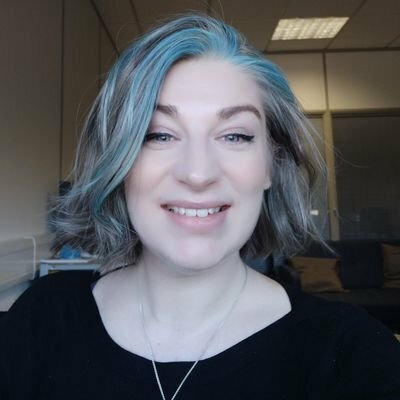 Sara: So, we have very open communication about it, but I’m quite aware that I am a minority as a disabled person working in PR, but also as a disabled business owner and female business owner as well. Sara: I kind of guess I felt like I had a bit of a responsibility to show other people that you can work in this industry without being … I hesitate to use this phrase, but outwardly perfect, which I think we have a very big image problem in this industry and we like everybody to be uniform and look the same. Sara: Unfortunately, stereotypes do exist here. I wish they didn’t, and I know there’s a lot of people trying really hard and doing some great work to dispel those, but they do still exist both from people who are looking outwards in our industry and I don’t hide my own practises. We’re very homogenous. Sara: Our diversity rates on pretty much everything whether it’s in black and ethnic minorities, disability, LGBTQ, It’s all low. It’s all very low, socio-economic background as well. Sara: When I started the disability PR network I think I’ve kind of had enough. I’ve kind of had enough of only seeing myself and maybe a few others like on social media that I know that are people working in this industry with differing disabilities and there’s no outlet for that. There’s no place for them to talk. There’s no avenue for employers and agency owners to ask question or find out what the requirements are, which are a lot lower than a lot of people think they are. Ahmed: Okay. [crosstalk 00:14:16]. That moment when you realise there’s no outlet that was the moment you thought that’s enough. I can’t take it anymore. Sara: Yeah, kind of. I had spoken about it for a while and I’ve been writing blog posts about it and I just thought I have to do something. Sara: And it’s still very early days and at the moment I’ve got a podcast planned, there’s a Twitter channel, there’s an agency mailbox, so I’m kind of trying to do little bits and pieces as I can alongside running the agency. But I just feel that there has to be some kind of discussion about that and somewhere for people to ask questions, to have open conversations and kind of find out the reality of what living with and working with a disability is like. Ahmed: You’ve mentioned that you’ve written a few times and I’ve read in different publications about the problem with diversity and obviously what could be done specifically about disabled people within the PR industry just to give them the opportunity and not making it as a barrier. Ahmed: So I’ve read your articles and I’m gonna link to it in the show note again, and I find it very interesting but what I don’t understand is why do you think that problem exists in that kind of industry? What is it that is kind of causing the issue, or maybe are people afraid of being in that industry? Is it kind of stopping them from making a name for themselves? Why do you think that problem exists? Sara: I think there’s multiple factors. I don’t think there’s any one factor. I think that outwardly we have a lot of work to do to make ourselves welcoming. We have a lot of self education to do in terms of the people who are agency owners or leaders in this industry to make themselves more aware and to tackle their own unconscious biases which everyone has. I don’t think that is being done to any great effect at the moment particularly when it comes to disability. Sara: There’s a lot- I mean, PR has been talking about the rest of the world for a while and it’s focused at the moment on gender, pay gap, and black & ethnic minorities. That’s important and it should be given a focus and it’s nice that it gives it a focus but I think disability is one of those ideas where there’s a lot of awkward conversation around it. New Speaker: But what we don’t really talk about is the absolute plethora of hidden disabilities. It’s probably quite a conservative point of view but I think generally we are not very honest about who we are prepared to have working in our agencies and who we are happy to put in front of clients. ‘Cause I think there’s a lot of people that still would be apprehensive about putting someone in front of a client who doesn’t convey perfection if that makes sense. Ahmed: Yep. I think I can understand what you’re saying. I think even from personal experience working in different industries and agency, or in house or whatever. Yeah, sometimes if you are dealing with either clients or customers there’s a bit of a hesitation about who should deal with that client or customer. Ahmed: The challenge for me anyway was when a lot of that is going to be over the phone. I have that issue over the phone and you explain the situation and it’s still not really making it easier for you then it’s a question in your ability. And that’s kind of a, it’s a shame really that’s how it works. Ahmed: “Let me do it and I can show you how to it can be done.” That kind of stuff. I can understand what you’re saying. It’s a tricky one and even though it’s better than before in terms of the awareness and people talk about it, social media helped and the internet helped. Ahmed: But still we’re in a very early stages, still got a long way to go. I guess that’s why I’m doing this podcast and my website. It’s another outlet for me anyway. So it’s getting better but still a long way to go. Sara: We have to talk about it. We have to, you know, as with every area of diversity there’s always the minority party that’s making the steps forward and hoping that they keep reciprocated. And you can have people who support you and definitely things like that but we’re the ones that have to still look. New Speaker: That is how I work, this is my work, this my work day is like, that is how if I ask to meet with someone I don’t wanna do it and Costa Coffee because it’s really hard for me to have a conversation – it’s hard with anyone to have a conversation in Costa Coffee really if you think about the noise of it. So someone with hearing loss, for example, it’s even more difficult. So all I do is I request, I a have a few locations that I know are quiet that work for me and I say, “Do you mind if we meet here?” I really want to be able to focus on your conversation and what you’re saying to me and this venue’s gonna help me do that. Sara: So we have to be more open about that. But that are issues, like you say, will we be judged? Will our ability be called into question? So there’s work to do on both sides of that from the- sort of our side going right, this is what we need. I can do the job. I just need to do it that way and it’s fine. Sara: And for employers to say right, okay. This person is not bad, it’s not that they’re incapable, it’s just that they’re doing it a slightly different way from me and that’s okay because the job’s still gonna get done. Ahmed: We have to live with as well. But you see the thing now where I’m kind of curious to know about from your own personal experience what kind of challenges did you face when you were building your career within the PR industry? What kind of challenges did you face and do you think your hearing loss has affected your progress along the way? Sara: I’m kind of the poster child for not saying anything ’cause I didn’t. I think that’s now why I’m quite so vocal about it because I have spent most of my career not telling anybody, you know, especially when I was younger. I struggled on through it and I didn’t put the requests in that I should have put in and I didn’t speak up when I probably should’ve spoken up. Sara: So I kind of, I could’ve possibly made my life easier but I chose not to and that was over fear. And that was it of what I would be perceived as not very capable. And that would impact my relationship with my clients and also the agencies that I worked at. Sara: … feeling that way. The only thing I really ask for about my very last agency before I started working for myself I asked for a hearing aid compatible phone after I got my new ones and I asked to sit with my good ear faced out to the room and those are the only two things that I really asked for. Sara: And that did help because it was the point at which I could’ve been sitting with my deaf ear to the room, which might have been good for concentration but it wouldn’t have probably helped me feel very included in the office ’cause I probably would have missed a lot. Sara: So that was the only two things that I really asked for. I have done pitches but I’ve literally had no idea what the potential clients said to me. Sara: There was one I did with three men and they were quite old and they spoke in very low mumbly voices. I have no idea what they said to me. I not even smiled and looked at my colleagues and led with them. ‘Cause I just didn’t know but I felt I couldn’t say anything because they’d look at me and go, well who brought this idea? You know. New Speaker: That was perception was probably incorrect, it might be right. I don’t know. But I had that fear so I didn’t say anything. Could I have done the pitch better if I’d said something? Maybe. But that’s kind of why the disability PR network exists. ‘Cause I’ve had those questions and worries and fears and concerns and I want other people to know that you can get through all that and still have a successful career. Ahmed: Of course. Of course. Definitely. Again, I think I can understand what you’re saying about- sometimes, I don’t know about you, but for me, I don’t want to put people out of their way. Ahmed: So when you have certain things that you need to make your job easier, your life easier, you kind of, at the beginning, as you were, at the beginning, I kept it quiet. So you just keep it to yourself, just put your head down and get on with the job and just get it done. But obviously, it was a bit more difficult than the rest of the colleagues that I was working with. Ahmed: So I kind of wish I did something similar and I think there were times where it didn’t end very well and certain projects or tasks or jobs or whatever and part of that was because of the hearing loss and I could not keep up with the whole thing. Ahmed: So I think I can understand what you’re saying that if I had maybe been a bit more forward about it or be a bit more up front about it, ’cause I did kind of nudge, but it wasn’t a really firm request kind of thing. Ahmed: Yeah. I think looking back now that you’ve mentioned it I probably should have done that and maybe things would be different now. Who knows. But I guess you learn from experience, isn’t it, so you know that you- not what you should do. It didn’t work last time. Let’s adjust it and see what we can do. Ahmed: For example, I think we’re having this conversation online and for me to make it work is to make sure that the internet is working okay. I’ve got my headphones in both ears, it’s a quiet room, just create the environment that suits you the way you can work and the way you can get your job done as efficient as possible. Sara: The office I’ve chosen for InFusion is a very, it’s a very good office for accessibility so the doorways are really wide. There’s a lift up to the floor right from the basement. There’s disabled parking. There’s all the sockets that are on the way. There’s definitely things like that that I looked at and it’s also very quiet. And those were concerns for me when I was looking to rent an office. Sara: I thought well I’m in here and I need these requirements but I know in the future that I want to open up, as we grow, I want to open up these job opportunities to as many people as possible. If my actual location is restricted then that’s gonna be a problem for a lot of people that they may not want to tell me or they might not – I might not be aware of it so trying to be a little bit more thoughtful, I guess. Ahmed: Okay. Well this kind of leads us to my next question that I mean, first of all, open office. I can see the pros and cons. The pro is that it makes it look sociable because you are as one big group. But then the odd negative side to it as well. So that’s interesting about that research. Ahmed: But then if you are saying that okay we need to a bit more realistic and bit more thoughtful about the impact that it can have. So then what advice do you have for other PR companies and the industry as a whole when it comes to tackling the issues of like low number of disabled people working in the industry? What advice do you have for them to kind of be open about it and make it as easy as possible for them to work in that industry? Sara: I think I would be honest about it even though it’s difficult but at the same time explain what that looks like, give people the information so ask questions of your employers or potential employers. Sara: What are their policies like? How do they interact? And what type of culture do they have? Is it an inclusive culture? And if it is and it’s a bit of a buzzword that “inclusive culture” but what does that look like? Question them on it I guess. Sara: But also say right, okay I’m visually impaired and what that means is this, this and this. I require this and this to do my job properly. That’s it. Or, I have hearing loss so I prefer communication by email but I can use the phone I just have to do it in a quiet environment. Sara: Give them the statement and then the information because a lot of the time when you see that, oh they’ve got a disability, you kind of immediately think, right, okay that’s just gonna be a whole big mess I need to sorty to get new equipment, I’ll need do this or do that. Sara: And a lot of business owners aren’t aware of just how little sometimes it takes to be accommodating and it might be a tiny amount but you’d overlook that person simply because they have a disability. Sara: Other thing to do from the employer’s perspective blind recruitment, really, really, really recommend blind recruitment. It’s not hard to do. So all you have on there is identifying features and a phone number. So you can contact them but strip it of everything else. Sara: If you like that person based on their merit, when you get to interview stage, then you can say, right okay, do you need anything? Any other specific requirements for interview? And it’s just little things like that, every day things, that can make a little bit of a difference if you just educate yourself a bit more, give yourself a little bit more knowledge and understanding. Sara: Read lots of blogs. There’s quite a lot of disability blogs, specifically ones that fill with work related. So scope out a really good resource as well for that. They do a lot in helping people get into work. There’s Purple Space, I think as well which is quite good. There’s a lot of resources that don’t take anything but a little bit of time for you to go and read what it’s like and what’s involved and sort of opening up your work place and see what employees and I think there’s a lot more benefits than negative when you look at it on balance. Ahmed: I think the good thing is this can apply to any company and any industry. It’s not just specific for PR. It can be for anyone. They can all kind of implement that. And you’re right, it’s not, I wouldn’t say it’s a huge, huge thing to add these sort of things and I can think of a few companies where they talk about, not just talk about their team and the recruitment there or the vacancy section of the website. Ahmed: They’re not just talking about who they have and who’s doing what, that kind of stuff. But the also have, like, videos of the office. Like a tour and you know, a person walking through. They also have, like, videos of different people speaking or what their experience is and they’re social event, what they do. New Speaker: hese sort of things, it gives you a better understanding of what the office environment and the culture is like and I remember in the days when I was applying for jobs, I remember seeing a few of them and they did make it a lot easier to make me think, “You know what, I could fit in that environment.” But then there are others, and I think the biggest culprit tend to be the huge brands out there that don’t speak a lot about their office environment at all, which I think is a shame. Ahmed: But, they’re the one who’s a bit more quiet about it but I don’t know about you but I feel a little bit more reserved about applying because then they, you know, you have to question whether is it really the right environment for you as well. It makes sense. It’s just these sort of things could make a difference to the person applying but also for the company. Then you can get a wider pool of people applying for that job and then you have a better selection which is, I think is a nice problem to have, really. Sara: You don’t get that if your team is very homogenous and you miss out on all that fantastic other world point of view and by hiding not just disabled people but everybody. Everybody from anywhere. It’s the joy of that. That great conversation and those experiences that can be shared and therefore make your campaign stronger and much more reflective of real life. Ahmed: Yeah. I can see that in my head. It’s not gonna happen in a group of one ethnicity in that team creating the multi cultural diversity kind of campaign. It just doesn’t really make sense. Ahmed: You miss a lot of things that only people in that culture or that background would understand, for example. Ahmed: I guess the next point that I’m going to bring up is, because, you know, you’ve built that career, you’ve been going through all these challenges and you know what to do kind of thing, but what advice do you have for those who are disabled, any kind of disability, doesn’t matter what it is, if they really want to get into the communication/PR side of things, what advice do you have for them to kind of get into that industry and then progress their career as far as they would like to? Sara: I think, I mean, by all means try university or internship or go straight to junior. There are many different reasons the industry at the moment and I know particularly one of the universities here, Leeds Trinity, they have quite a diverse student body and that’s one of the reasons I quite enjoy working with them is a lot of their students have very, very, different abilities and disabilities and it’s a really good student body and a lot of those people are going into journalism and broadcast and PR so we know that they’re coming into the entity. Sara: We know that they’re starting to study in this industry. It’s kind of half and half for me. Half of the work needs to be done by the people coming into the industry and stick in with it but we also, the people who are already in it need to be open enough to give them the chance or work experience from university paid internships, paid internships, non-paid. Sara: Different options to progress through the company, it’s one of these challenges that I’m still trying to pick at it myself to be honest because as difficult, it’s very difficult and I know that as much as I can sit here and say, “Put yourself out there. Go and get these opportunities. They are there.” It doesn’t necessarily mean that the people on the other end are gonna be welcoming and that’s frustrating to be able to have to say that. But that’s kind of the work that I wanna do with the disability PR stuff. Sara: A lot of the work I wanna do is with agencies because I know from my own experiences in having talked to students that are people coming into that entity more and more. I think the recent PR series census kind of highlight the fact there are more disabled people in the industry but a lot of those are freelancers. New Speaker: Now that may be because it’s more flexible for them and that’s fine, but there’s also the possibility that they’re just not getting the same opportunities, which is not okay. So some of those people may want agency jobs and in-house jobs, and they’re not getting that chance. So we need to look seriously about why, but we have to have the conversation and one of the really difficult things is I don’t think people wanna have that conversation for the simple fact it makes ’em sound bad. Sara: So if you were to come up to me and say, “you know what, I know I should probably hire disabled people but I’m a bit worried about it, and I don’t know if I really want them.” That might be how they feel behind closed doors. But being able to verbalise that just makes them sound awful. Sara: … to overcome that. So that’s what we’ve got to do but we’re still at that stage where it’s difficult to get people to just see that statement in the first place. Ahmed: And that’s where you come in, right? That’s where you come in and swoop in and save the world. Sara: Try. I’m trying. I think saving the world’s maybe a little bit far off, not yet. But if I could at least have a few conversations with people and it actually opens up a few more opportunities for people with disabilities to get experience or have that job interview that they didn’t have before because an agency or in house team is much more open to it. Sara: What I wanna get away from is that diversity hire situation. And that comes down to culture, like you were talking about before and you have experienced yourself like the different cultures and how some are more welcoming, some are less, so, and that’s what it comes down to ’cause once the person is working in your team you have to be part of the team, you have to want them to be part of the team, and that means inviting them down the pub for lunch or on the work night out, or whatever it is and just being an open and friendly and welcoming place for people as well so there’s no one thing. Sara: There’s a lot of different things that we have to tackle and we have to look at. Which is why it’s such a big task, I think. Sara: But we’re going tackle our way at it slowly. Ahmed: That’s the idea. I think it’s kind of easier, bite size kind of thing instead of just take it all in one big chunk. It’s just too overwhelming. It’s great and I think it’s quite a different angle that, you know, what you are kind of helping to tackle and again, why I was very keen to speak to you about it ’cause it just sounds really, really interesting. Ahmed: … to hear this so I think it’s really cool. Sara: Can I point people towards a document that was published last month? Sara: There’s an Ideas For Ears published a hearing access protocol, no it’s specifically relating to people with hearing loss. But there’s some really good points in it and it’s about events, conferences, meetings, and how to make sure that they are as inclusive as possible and it’s really comprehensive and it gives a lot of valuable information and you can download it from their website and just read through it and it’s got a checklist in the back, so if you’re organising a bit, it’s got a ready made checklist for you to go through. It’s a really good resource document and I think if we can get people to take that into consideration a bit more that’s gonna help, too. Ahmed: I think that’s a good point. I’m gonna link to that in the show notes so people can have access to it. And you’re right. There’s a lot of things in there that will explain what could you do to make things easier for everyone, not just a selective few kind of thing. I think it’s a good point, I’m glad you brought that up actually. Ahmed: Check it out in the show note and see how you can implement that today really. So I think that’s really cool. Ahmed: And I’m interested to hear your answer to this. Ahmed: Don’t worry. It’s all good. Well the first thing is what’s the worst thing people have said to you about your hearing loss? Sara: Oh the classic is you don’t look deaf. I get that a lot. Yeah. You don’t look deaf. Like, what? Okay. Great. What do you expect me to look like? And it’s not really the worst thing in the sense of… I don’t think I’ve been quite fortunate and I’ve never had them to be particularly horrific about it. I mean, probably when I was younger I had some kids at school say stuff but I don’t remember what that was, probably couldn’t hear them anyway. Yeah. That’s the most common definitely. Ahmed: Yeah. It’s a classic one. I agree with you. Ahmed: Yeah. Thanks. So what’s the worst thing about being deaf? Sara: I think social isolation. That is a very real thing. And it’s- it can really get you down and I think if your friends are in a noisy place [inaudible 00:43:48] weekend, and I benefit in that I can lip read a lot. Sara: But I felt I couldn’t start conversations, especially with people that I just met or didn’t really know very well because I just don’t know if I’m going to be able to hear them and the whole conversation can get a bit awkward and then you get a bit of social anxiety and it kind of spirals and you end up in the situation where you’re like, “I just, I’m just gonna sit here and shut up.” And then you’re isolated so I think that’s probably one of the worst aspects of it is that social isolation that can come with that. Ahmed: Yeah. I’ve kind of done that. I can appreciate that as well. So then twist it around then. What do you think is the best thing about being deaf? Sara: Not having to listen to people that you don’t want to listen to. I’m just gonna sit on…. Sara: …just gonna site here and just be like, “yeah. I’m good. Thanks.” And then there’s a little bit of a twisted pleasure I get if I’ve been out and my hearing aids are in all day and I’ve been running about and being quite busy and I can just take them out and the world is just nice and silent and you kind of, you feel guilty because you shouldn’t enjoy a quiet world. Ahmed: I can understand what you’re saying. You feel a bit guilty for saying that but I guess, you know what, we kind of miss the most of the bad situation if you call it bad, that kind of thing. So you’re right. Just switch it off and it’s quiet. Really quite nice actually. Ahmed: What advice do you have then for hearing people when they are around deaf people? You’ve mentioned quite a few things but maybe if you can just have that one good advice that you have for the general world in society. Sara: Try not, if someone tells you they have a hearing loss, don’t automatically look at their ears. It doesn’t help. Try and be in front of them if they’re a lip reader. Quite often some of us are. It really helps to be able to see your mouth. A really common thing as well is people speak with their hand over their mouth, especially in maybe corporate situations if you’re having a bite to eat or they maybe hold a cup in front of their mouth if you’re meeting them try to keep your mouth clear if you can ’cause it makes a huge difference to what I can lip read for me. Sara: And just be a little bit more conscious if someone says to you, “Actually it’s really difficult for me to hear in here. Do you mind if we move over there, or this corner of the room?” Just accept it, try not to be too judgemental about it if that makes sense. Ahmed: Yeah. And I think these all make sense they’re all fair enough and yes I’m a lip reader as well. That’s why in that environment good lighting as well and yeah, don’t cover your mouth all the time or eat with your mouth full. You shouldn’t do that anyway. You shouldn’t eat with your mouth full. Speak with your mouth full, sorry. But that’s the idea. Just make it easy as possible which is fair enough, I think it’s a good point. Sara: Yeah and I think- remember that not everyone with hearing loss deals with it in the same way. Sara: It’s like anything, so people who- maybe people who use sign language, maybe people who don’t, some people who lip read, some people that don’t, some people that have hearing aids, some people that don’t, like it’s not- hearing loss isn’t one thing and it’s not managed in one way so whoever that person views best to manage it from their perspective just roll with it. Go with that. It’s fine. Ahmed: And again, we don’t all look the same. Sara: Yeah. We don’t all look like we should be deaf. Ahmed: No. Exactly. Wow. I’m never gonna kind of like get around that idea anyway. That’s just another conversation. The last question then for you is what advice do you have for anyone with hearing loss, hearing impairment, profoundly deaf, however it is, what advice do you have for them to make the most out of their life? Sara: I think it does give you a certain amount of freedom doing that as well and your experiences and your own sort of challenges are all valid and they’re all yours and however you choose to get through them, that’s fine. That’s entirely up to you. But don’t ever think that, or don’t ever listen to anyone that tells you you can’t do something. ‘Cause I was told I couldn’t be a writer at school and you know don’t listen to them basically. Sara: If someone says, “Oh I don’t really think you can do that.” Just go and show them anyway. Ahmed: That’s not the best advice to hear. [crosstalk 00:49:41]. Sara: Yeah. No. Just ignore it and crack on, do it anyway. Find a way that works for you. Those point of resources and definite options now. There’s so many different ways that you can do things whether it’s dictation or sort of touch screens or different options that you have to just be able to do a thing that you wanna do. Ahmed: Awesome. Great advice. That’s the end of it. Well I mean, there’s so many advice you provided for us in this episode and I appreciate it. It’s really, really cool and there’s so many things that even if you’re not in the PR industry you can still take away a lot from this conversation with you. So just wanna thank you again for being here. Sara: Thank you so much. Ahmed: [crosstalk 00:50:20] it was awesome. And you know, if people want to kind of connect with you or reach out to you or even just find out what you’re doing. Where is the best place for them to do that? Sara: On the old Twitters. Ahmed: That’s fine. And I put that in the show notes for anyone who wants to get to say hi. And feel free to reach out to Sara, she’d be happy to answer any question as well. So that’s really awesome. So again, Sara, thank you very much for this. Sara: Yeah. Thank you so much inviting me it was really, really fun and interesting conversation. Thank you. Ahmed: No problem. And there we have it. Thank you Sara for joining on the show. Really appreciate it. Really enjoyed talking with you and just understanding more about the PR industry and the body that exists there so thank you again. Ahmed: I hope you enjoyed it as well, listeners. Let us know in the comments and let us know on social media and of course if you enjoyed the show, please leave a review on iTunes. I would really, really appreciate it. In the meantime, I’ll see you soon. Take care. Announcer: Thank you for listening to the Hear Me Out! [CC] podcast, courtesy of hearmeoutcc.com.